Five years after the 2013 flood, we’ve not built any new upstream mitigation projects on Calgary’s largest river, nor will shovels be in the ground for years to come. This story was originally published on June 15. In the five years since the 2013 flood that cost us lives and treasure, Alberta has been preparing for the next major flood. Berms and other local mitigation projects in Calgary and High River protect communities from rising water. The Springbank reservoir project, once built, will provide significant upstream mitigation on the Elbow River. But the Bow — ah, the Bow. Five years on, we've not built any new upstream mitigation projects on Calgary's major river to protect the city and other communities, nor will shovels be in the ground for years to come. Further, a report for the city estimated it would cost $2 billion to buy all floodplain property in Calgary alone, which is politically and economically unlikely. We could have been smarter in building this city, but we're stuck with it now. And so, as we think ahead to the dangers of future flooding, upstream mitigation is inevitable. There are a lot of options. The most workable were narrowed down for the provincial government in a 2017 report by a group of experts and stakeholders called the Bow River Working Group (BRWG). It has been convened to produce several studies on Bow River mitigation. The group is comprised of technical water management experts or representatives from municipalities, First Nations, and major river licence holders. These bright water-nerds are the folks who've devised our best options for the Bow River. The options outlined in the BRWG report are big. They're expensive. And they each come with complications. 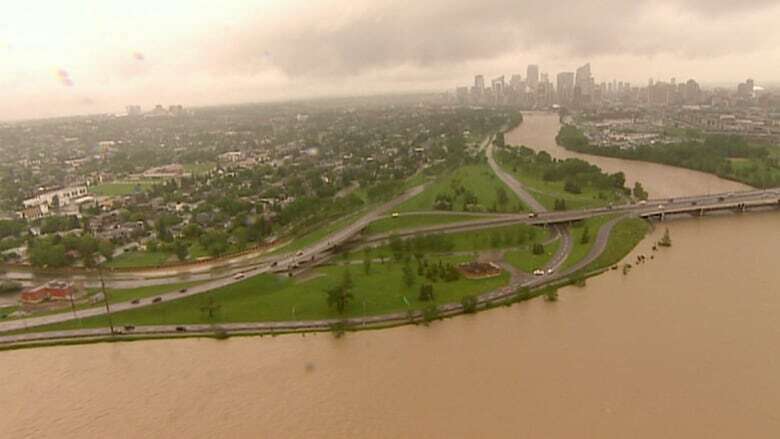 The report gives two sets of recommendations, depending how much flood risk we want to live with — a target maximum flow rate on the Bow River in Calgary of either 1,200 or 800 cubic metres per second (cms). 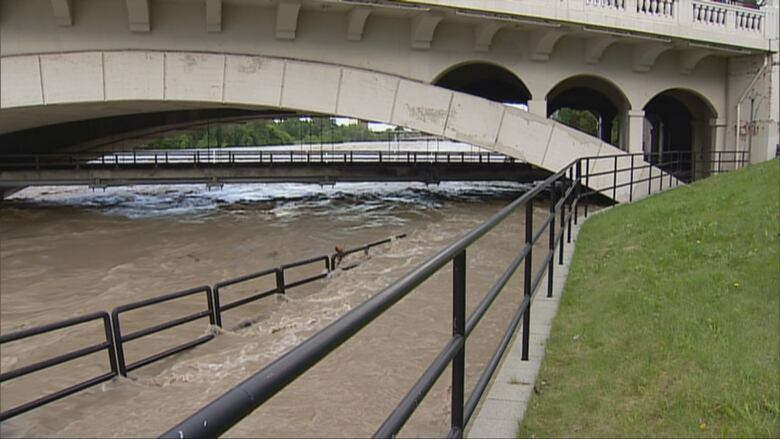 For comparison, the Bow River peaked at 1,750 cms during the 2013 flood. The higher number, that 1,200 cms maximum, gives moderate protection, but evacuations would still be required. The lower number provides better protection, though parks and underpasses would still be flooded. The recommendations are largely the same for either: a handful of smaller must-have measures, plus a menu of three new reservoir options. For moderate protection, we must pick one new reservoir to build; for higher protection, we must choose two of the three. First, let's look at a couple must-have measures which the report recommends for both the higher- or lower-protection scenarios. The Ghost reservoir, that man-made lake west of Calgary, acts as something of a catch-hold for water on the Bow. The report says the speed with which the reservoir can be drained to make room for an imminent flood — known as the drawdown rate — should be increased. This would be a comparatively minor upgrade. As well, the report recommends that both the Ghost reservoir and Barrier Lake be used for "flood operations." That means putting in place a plan to drain extra water out during flood season so the reservoirs could absorb a surge of water. 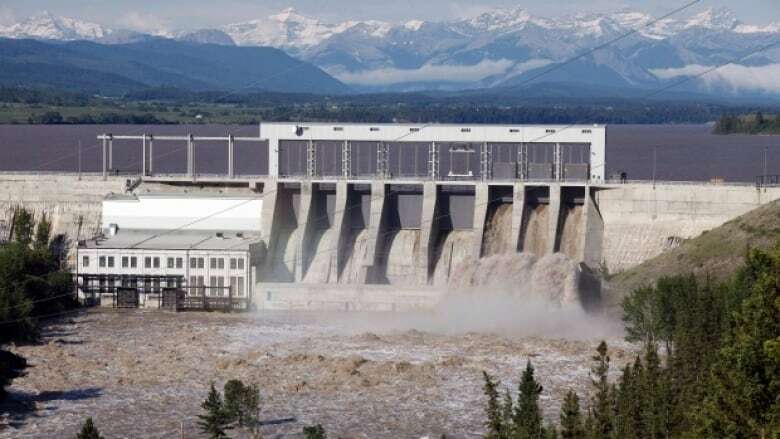 TransAlta operates both facilities for hydroelectricity, and the province has an agreement in place for flood measures at both, along with Upper and Lower Kananaskis Lakes. But these are merely the hors d'oeuvres of Bow River flood mitigation. Now, for the main course — three options for big, expensive, complicated projects. Choose one or two, depending on how much protection you want. New Glenbow reservoir: 15-20 years to complete. Cost: More than $500 million. Located upstream of the Bearspaw dam, this would be a major piece of infrastructure capable of holding as much as 70 million cubic metres of water — more than four and a half times the capacity of the existing Glenmore reservoir in southwest Calgary. Now, this option, and the others in this article, are concepts based on data and analysis — yet to be designed — so there's much we don't know. The timeframes and cost estimates are rough. Really rough. And we don't know what the projects might look like. But we can get a general idea about their expected impact, and some anticipated concerns. One of the biggest selling points for this option is that it is far downstream in the Bow system. That means it catches most of the runoff that feeds the Bow River before it passes Calgary. You can build a great, big dam up in the mountains, but it doesn't do any damn good if flood events are generated downstream of it. If the main objective is to protect Calgary, then the closer to the city, the better. But the name of the project reveals its largest liability: a significant portion of Glenbow Ranch Provincial Park would be permanently impacted by a new reservoir. The report notes that Alberta's native grasslands are threatened and not well protected, and that this was the point of establishing the park. Since the land was donated by its owners for conservation purposes, and there's "significant archeological, historical, and paleontological sites" in the park that could be at risk, this could be a tough sell. New Morley reservoir. 15-20 years to complete. Cost: More than $500 million. Upstream of the Ghost reservoir, and located entirely within Stoney Nakoda reserve land, this option could be nearly twice the size of the Glenbow proposal at 150 million cubic metres of storage, for roughly the same cost as Glenbow. The proposed location of this reservoir isn't as good from a mitigation standpoint as the Glenbow, as it is higher up in the system. The report notes that this section of the Bow is "highly fragmented" by two dams upstream and the Ghost dam below it, which isn't ideal for fish populations. But by far the biggest stumbling block, if this project is selected, will be the land negotiations with the Stoney Nation. Ominously, the report cites the southwest Calgary ring road that runs through Tsuut'ina land as "indication of the time, cost, and process of negotiation." In other words: not quick, and not cheap. This option could make flooding a provincial park look uncomplicated by comparison. Expand Ghost Reservoir: 10-15 years to complete. Cost: $100-300 million. If we want to work (mostly) within existing infrastructure footprints, then Option C is the better bet. The existing Ghost reservoir has about 93 million cubic metres of live storage, which is to say that's the maximum amount of water that could be drained from the reservoir. The remainder, in this case, is below the outlet pipe that releases water. You can open the valve all the way, but you can't drain it any further. To expand the capacity of the reservoir, there are two options involving infrastructure changes: increase the height of the dam by about three metres; and install a low-level outlet to drain more water out to create more storage capacity for incoming floodwater. No one is totally sure what it would take to do one or both of these upgrades. The engineering is quite tricky and needs more study. The report also notes that a three-metre increase in dam height would only gain 35 million cubic metres of storage. So, for the price tag, it might be better to just build a new dam somewhere else. But while it might seem like this option works within an existing footprint, that's not quite true. Additional Stoney Nakoda reserve land would be flooded, and the village of Ghost Lake might need to be relocated. Those negotiations could complicate things. However, this option has significantly fewer environmental impacts than the other choices, which is certainly a plus. It's well worth noting that the Bow River Working Group didn't consider the issues of the Bow and its water flow solely through the lens of flood mitigation. Alberta has serious droughts, as well, and manipulating delicate environmental systems can solve one problem while exacerbating the other. The group thus took a holistic approach for water management, attempting to "balance the system." In other words, if we build projects to restrict water when there's too much of it, we need to balance the equation with projects that retain and distribute water when there's not enough. As for drought mitigation (as opposed to flood mitigation), the report offers multiple choices of recommendations, depending on different overall targets. These range from operational changes to minor infrastructure upgrades to major projects such as a massive new reservoir below the Bassano dam with a price tag of more than half a billion dollars. Some recommended options overlap: reservoirs, for example, can offer both flood and drought mitigation. Which combo platter of infrastructure will suit our needs for better, safer water management — and our pocketbooks — will be clearer once the next level of study and design is complete. It's been more than a year since the BRWG report was presented to government, but Alberta Environment and Parks (AEP) has yet to tender a request for bids to study these recommendations further. AEP says they hope to have a contract in place later this summer, and the work will take approximately one year to complete. After that, it will take more time to make a decision, then more time to negotiate the land rights and tender the construction contracts. Given that the estimated timeframe for the largest and most critical projects is 15 to 20 years, it's worth remembering that a 100-year flood has a one-per cent chance of occurring any year, every year. And those small probabilities add up. Over a 20-year period, there's an 18.2-per-cent chance of seeing at least one flood of that size. Smaller, local mitigation projects like berms and pumps mean we're better prepared than in 2013. Operating existing reservoirs for flood mitigation also removes some risk. 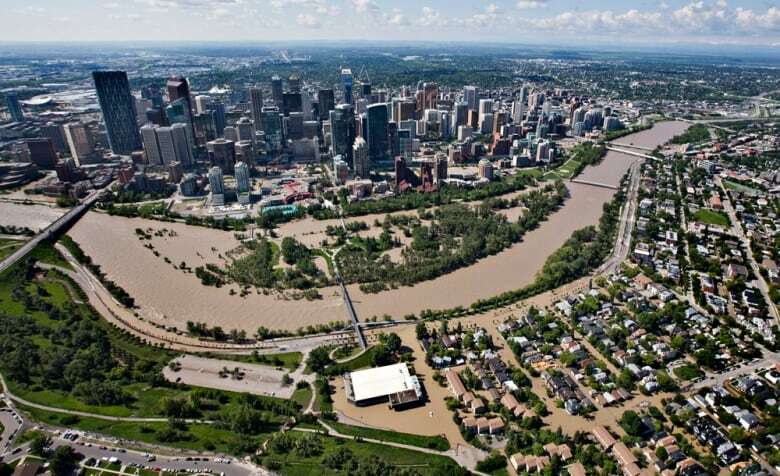 But without significant new infrastructure, Calgary and southern Alberta remain exposed to the threat of disastrous flooding. This is the second in a series of stories from CBC Calgary on the five-year anniversary of the 2013 flood. The previous looked at mitigation plans on the Elbow River. 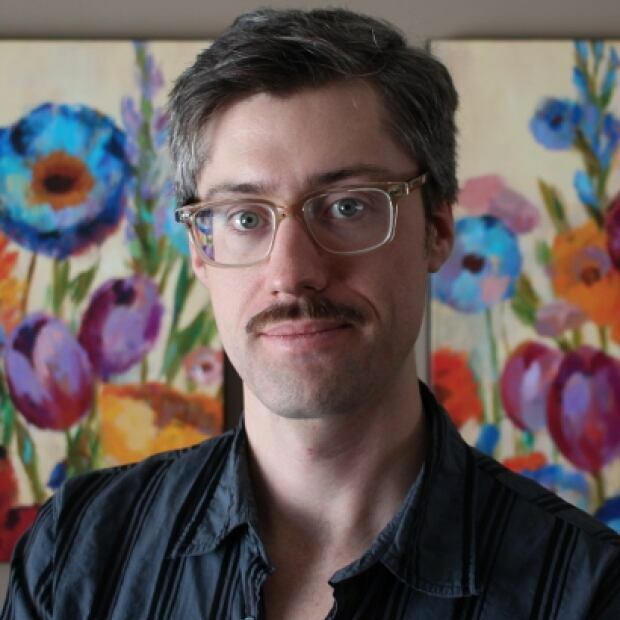 Taylor Lambert is a Calgary journalist and the author of Rising: Stories of the 2013 Alberta Flood. His book Darwin's Moving was awarded the City of Calgary's W.O. Mitchell Prize for 2017.